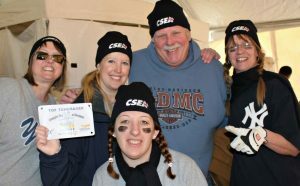 CSEA was again one of the top fundraisers for the Special Olympics New York at the Rochester Polar Plunge contributing more than $4,500 in donations for 2019. ROCHESTER — On a recent cold, wintry day when temperatures dipped well below freezing, dozens of hearty CSEA Western New Yorkers took part in the 19th Annual Rochester Polar Plunge at Ontario Beach Park. The proceeds of the event directly fund entry and other expenses for athletes to participate and compete at state, national and global Special Olympic sporting events. In 2019, a team of more than 20 CSEA activists and family members raised approximately $4,500 to support the cause. CSEA continues to field a team of robust volunteers and donors, raising more than $66,000 since members first participated in the Rochester Polar Plunge more than a decade ago. CSEA Western Region President Kathy Button accepts a plaque posthumously honoring former Western Region President Flo Tripi for her unwavering support for the Special Olympics New York. 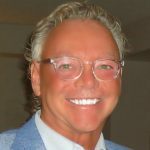 This year, CSEA Western Region was presented with a plaque honoring former Western Region President Flo Tripi, who passed away in July 2018. Tripi was posthumously recognized for her many years of unwavering support for the Special Olympics New York and for the Rochester Polar Plunge. 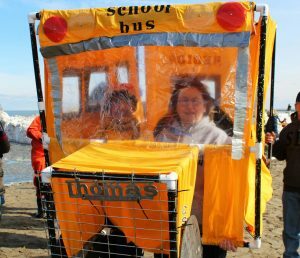 In honor of her tireless efforts, Special Olympics New York organizers renamed the Rochester Polar Plunge “Top Donor Award” after Tripi. CSEA Western Region President Kathy Button was on hand for the pre-plunge ceremony. She graciously accepted the acknowledgement in front of more than 1,000 supporters in attendance. 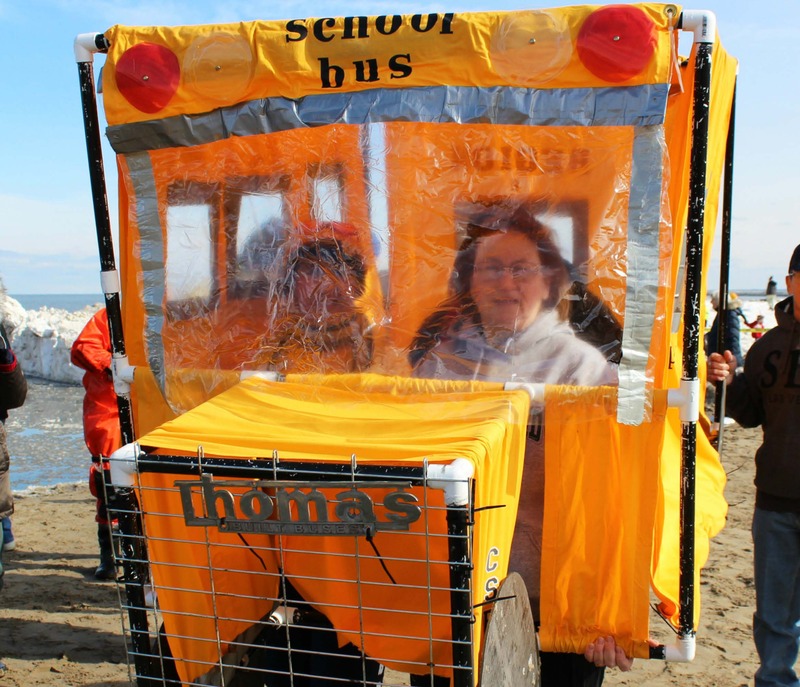 CSEA Erie Educational Local members Deb Morley and Patty Reitz drove their school bus into Lake Ontario all for a great cause. The Rochester Polar Plunge is the largest of its kind in New York, and one of the largest Polar Plunges to benefit Special Olympics in the entire country. When the 2019 numbers are finally tabulated, organizers expect the Rochester Polar Plunge to earn more than $250,000 to benefit the Special Olympics athletes and their families. CSEA has been a longtime supporter of the Special Olympics New York. After the plunge, members warmed up to a buffet lunch at a local restaurant hosted by Button and her executive board.